It seems as if nothing is private anymore, with ease and availability of what were believed to be private content to the amusement of strangers all over the world. 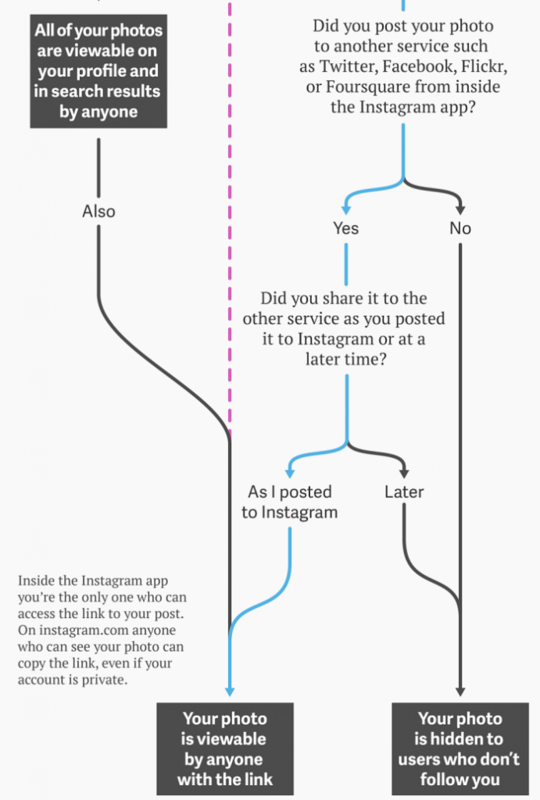 A recently discovered loophole in the Instagram system is even worse, as it leads users to believe they’re posting their pictures privately but are in fact, really not. This means that even if you have your account set to private, your pictures might not be. A report by Quartz shared that photographs posted to Instagram are publicly viewable even after the user has changed their accounts settings from public to private. 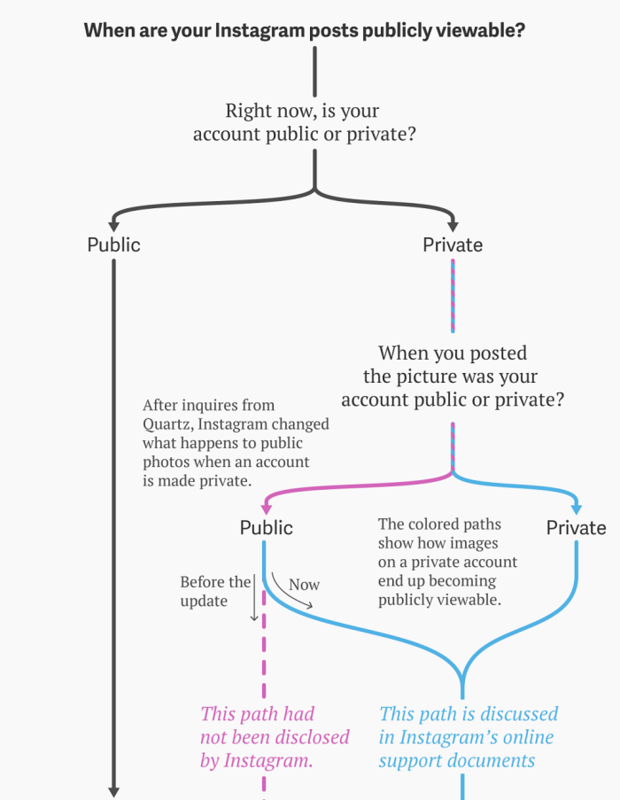 Quartz accompanies this with a comprehensive illustration that shows that if your account was previously public but later switched to private and you posted your photo to another service (Facebook, Twitter, etc.) via Instagram at the same time as you post the photo, it will be viewable to anyone. Well, what should have happened if someone is trying to view a picture that is set to private is be faced with a page stating, “Page Not Found”. However, if the user, at any point in time, decided to make his account public, then all the pictures can be shared via the url and are publicly viewable, even after he’s changed it back to private. Quartz illustrates the problem by posting a picture while the account was public, then later putting the account to private. The picture is still viewable after the change even though it has not been shared on any other social media sites. The user itself remains private however, and any attempt to access the pictures in the link will bring the viewers to a ‘Page Not Found’ link. The problem lies with the pictures that were public before. The url links still work to show the viewers the picture, regardless of whether they’re private or not. Instagram acknowledged this problem to Quartz and has since fixed it, meaning that the pictures are now safely out of the eye of the public. What About The Links To The Private Photo? 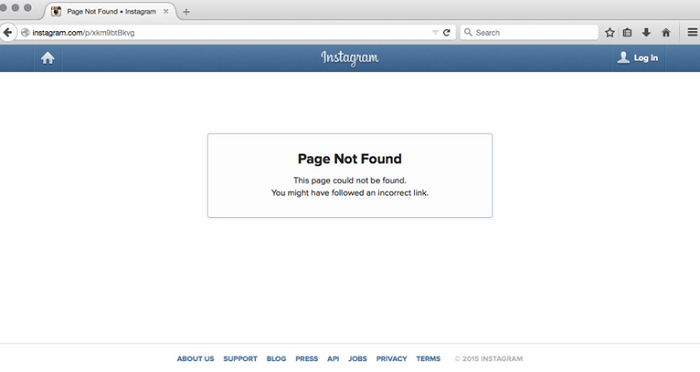 For now, it seems as if there’s nothing Instagram is doing about the links for the pictures shared before the update. 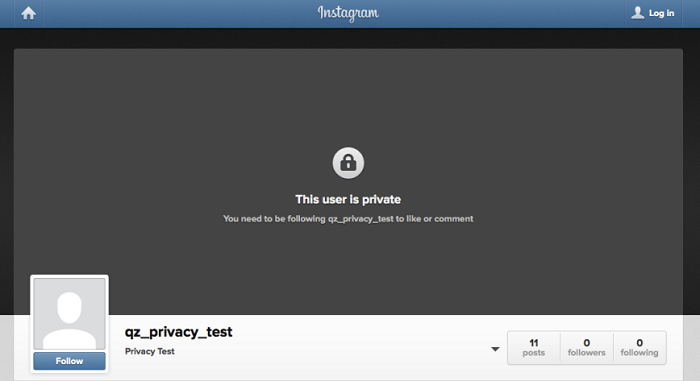 An Instagram user can see any photos, private or public, as long as the url is accessible. These URLs can be found through other social media sites that the user has shared the photos through, such as Facebook and Twitter. The same problem isn’t echoed by the Instagram iOS and Android apps, thankfully, as the private pictures do remain private in those. In my opinion, the best way to go about this is to just carry on. If there are any pictures that you really want off the eyes of the public, take it off your social media accounts and keep it away from the Internet. When in doubt, consult the No. 1 Rule of the Internet: Nothing on the Internet is private.